You can leave me a comment below or reach me via Twitter or Facebook. You can also contact Aurora at Once Upon a Screen or Twitter or Facebook; or contact Kellee at Outspoken & Freckled or Twitter or Facebook. Don’t take it for granted we know exactly who you are or where your blog resides – please include the title and URL of your blog. We will not accept repeats (previously published posts) since there are so many greats worthy of attention, but your choices are not limited to classics. You can choose any character actor from any era and from the medium of television, which featured a number of talented regulars, and continues to do so. Publish your WAC! post for either December 16, 17, or 18, 2016. Let us know if you have a date preference; otherwise, we’ll split publicizing duties equally among the three days. Please include one of my three WAC! 2016 event banners included in this post on your blog to help us promote the event and also include it in your post. Please send any of us the direct link to your post once you have published it. Searching on social media sites can lead to missed entries. My email is paula.guthat[at]gmail.com. Again, thank you – and HAPPY BLOGGING! 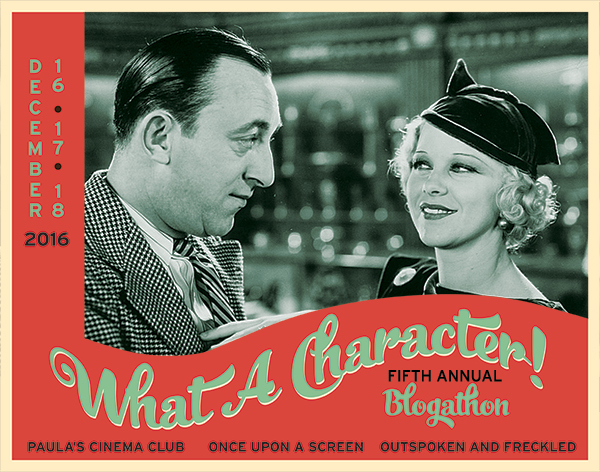 The list of those participating is as follows, in alpha order by character actor’s last name, followed by the blog name. Comment below if you want to be added to the list! 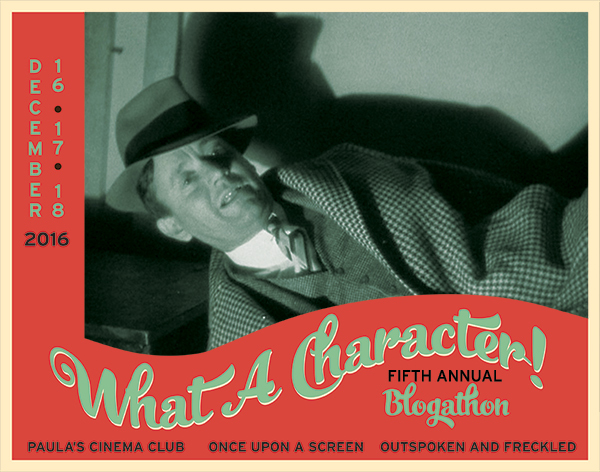 Posted on 1 November 2016 16 December 2016 by PaulaPosted in Cinema SnacksTagged blog events, blogathon, classic film, classic movies, film, movies, TCM, television, Turner Classic Movies, what a character. Put me down for a piece on Cora Witherspoon, please. Got it, Paddy. Thank you! Could I write about Charles Lane? Could I write about Charles Lane this time out? I commented on Aurora’s blog. I’m doing Agnes Mooreehead, so could you put me down for Agnes on your blog too? How about David Wayne? By the way, Terrence, Charles Lane is a great choice. David Wayne is a pretty decent choice too, Chris. I will add it to the list! Just read your e-mail invitation. I’d like to take a crack at M. Emmett Walsh in either ‘Straight Time’ with Dustin Hoffman. Or the Coen brother’s premiere, ‘Blood Simple’. Sounds good, Jack. Happy to host your post on this blog if that still works for you. It’s Aurora’s day, I definitely will pass this along. Thanks Paddy!